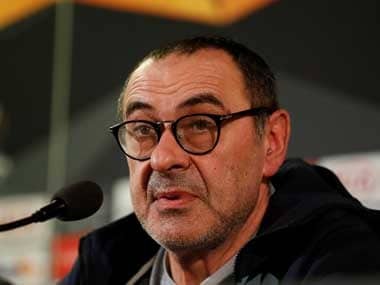 London: Chelsea boss Maurizio Sarri is contemplating deploying Eden Hazard as a "false nine" for a third straight Premier League game to set him "free". The Blues, fourth in the Premier League, play Leicester on Saturday, after beating champions Manchester City and then Brighton without fielding a recognised striker in the starting line-up. 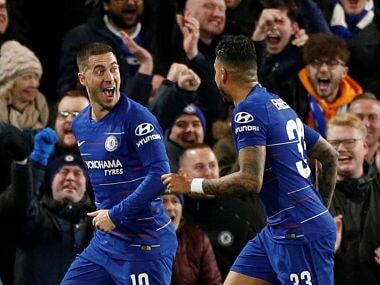 Olivier Giroud played the full game as Chelsea beat Bournemouth in the League Cup on Wednesday when Hazard came off the bench to score the decisive goal. Alvaro Morata returned to training on Thursday following a knee injury. "There isn't the best position for Hazard," Sarri said on Friday. "Hazard is a wonderful player, with a very high level of imagination. He needs to be let free on the pitch. Sarri's assistant boss Gianfranco Zola on Tuesday admitted Chelsea were admirers of striker Callum Wilson, but Sarri said he is keen not to upset Bournemouth boss Eddie Howe. 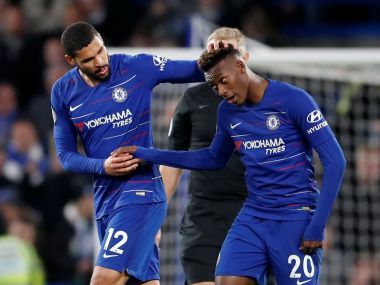 "I don't know about Wilson, because, as you know Eddie is a friend and I want to see him very happy," Sarri said. Danny Drinkwater's future at Stamford Bridge looks bleak after Sarri cast doubt over his future. The former Leicester midfielder has played just 30 minutes so far this season — in August's Community Shield defeat to Manchester City. "He's suitable for a midfield with two midfielders," said Sarri. "With three he is not really a central midfielder, he's not suitable to play centre right or centre left. For him, the problem is only my football." Asked if Drinkwater, 28, has a future at Chelsea, Sarri said: "I don't know. It depends on the club. It's up to him, I think." Defender Andreas Christensen has a minor hamstring injury that could keep him out until January.